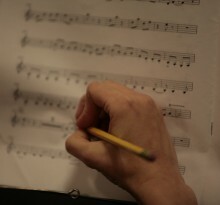 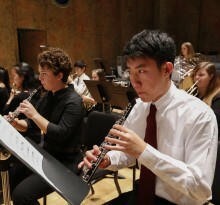 The Richmond Symphony’s flagship educational program, founded in 1962, consists of four youth orchestras and a wind ensemble providing beginning to advanced musical training. 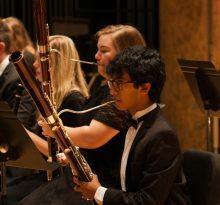 As the premier orchestral training program of central Virginia, students participate in weekly rehearsals, coaching and masterclasses by Richmond Symphony musicians, chamber music performances, mentoring and other musical and social activities. 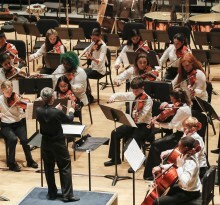 The Youth Orchestra Program is open to violin, viola, cello, bass, flute/piccolo, oboe, clarinet, bassoon, horn, trumpet, trombone, tuba, harp and percussion students in elementary through high school. 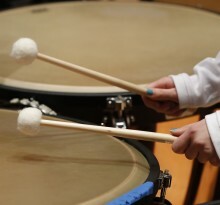 YOP is able to support student participation by supplying carpool lists each season, offering financial assistance and providing large or uncommon instruments when needed. 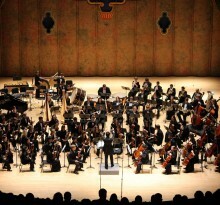 All YOP performances are free, open to the public, and held in the Carpenter Theatre at Dominion Energy Center.